Why is A&W Called A&W? Go to rootbeer.com, and your screen will be filled with a tempting, foaming, fizzy, animated glass of root beer…and the A&W logo. A&W’s domain is literally rootbeer.com, not aandw.com, what most might expect. Clearly, root beer is the foundation of A&W’s branding. As its definitive site name suggests, A&W is the world’s number-one bestselling root beer. It’s known for being a sweet, foamy treat. 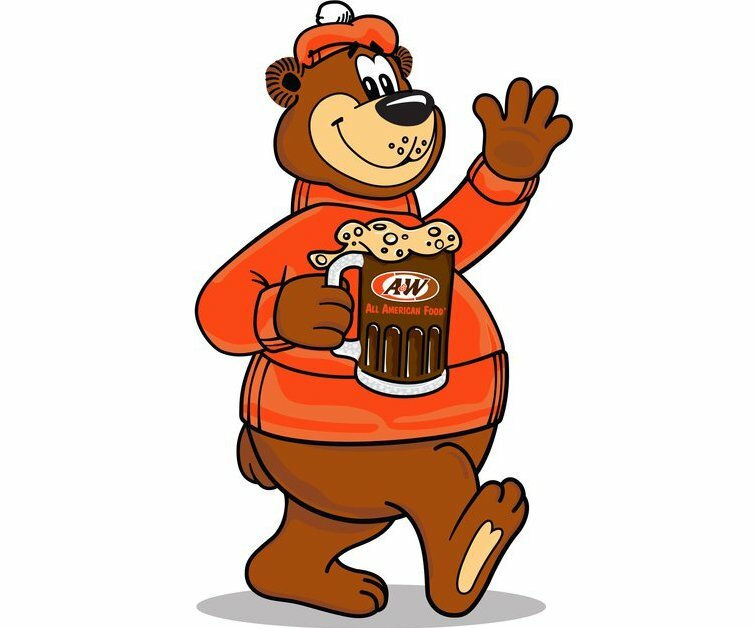 A&W’s current slogan is “Bring Home the Root Beer,” encouraging consumers to “introduce [their] family to A&W Root Beer and make frosty mug memories.” Its site features how-to videos and recipes for various fun dessert root beer floats. The Campfire Float looks especially enticing! A&W is unique because it’s not just a soft drink brand – it’s also a popular franchise restaurant found throughout America. In fact, it was the very first franchise restaurant in America, and the restaurant started alongside the root beer itself. Today, there are approximately 1,000 A&W restaurants in the United States and Southeast Asia and A&W Root Beer is sold worldwide. Why is it Called A&W? A&W’s origins date back to a hot day in June 1919, when Roy W. Allen opened up a root beer stand in Lodi, California. He sold his root beer for one nickel. He didn’t come up with the formula himself – he just purchased it from a pharmacist in Arizona. To this day, the unique blend of herbs, spices, barks and berries remains a delicious secret. After his little root beer stand in Lodi took off, Allen opened up another location in nearby Sacramento. That location became the country’s first “drive-in,” featuring “tray-boys” who provided curbside service. Allen took on a partner in 1922, a man named Frank Wright, who had been an employee at his first Lodi location. Allen and Wright combined their initials and formally named the beverage A&W Root Beer. The partnership was short-lived, but the name stuck. Allen bought all of Wright’s shares just two years later in 1924. So, A had a lot more to do with A&W than W did. SEE ALSO: Why is Barq’s Called Barq’s? Allen secured a trademark and started selling A&W franchises like crazy, making A&W the first franchised chain restaurant in America. Franchise owners could use the A&W name and logo and purchased root beer syrup directly from Allen. By 1933, there were over 170 A&W franchise outlets. There was no common menu or procedures shared among the restaurants – all they had in common was the name, the logo, and the root beer. Some chose to sell food along with the root beer, some didn’t. In fact, there wasn’t a standard food menu for franchises until 1978. 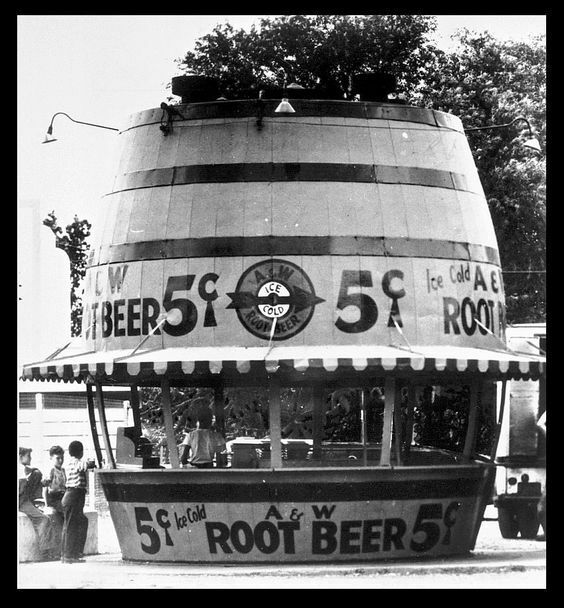 For decades, A&W Root Beer was only available at its restaurants. It wasn’t until 1971 that A&W was first made available in bottles & cans in grocery stores. Today, A&W Root Beer is owned by Dr. Pepper Snapple group, and it’s available throughout the world. And if you are looking to get your hands on a free root beer float, head over to A&W on August 6th when they celebrate National Root Beer Float Day and raise money for selected charities! What’s your favorite root beer brand? Any guesses on the name of their mascot? Comment below!